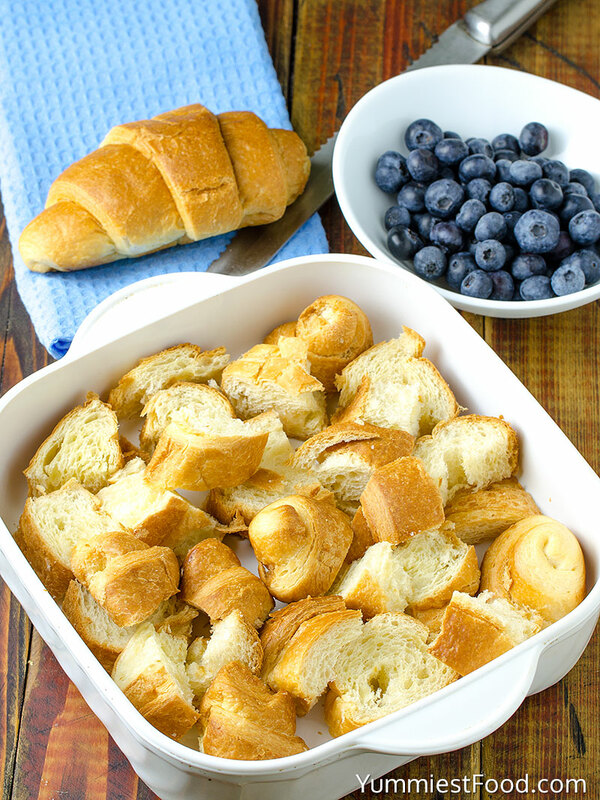 BLUEBERRY CREAM CHEESE CROISSANT PUFF – Easy and delicious way to start your day! 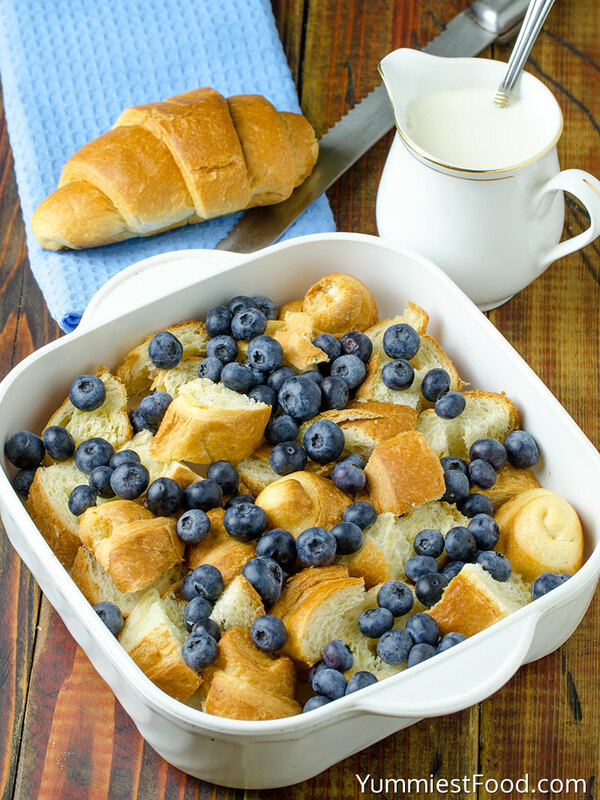 Perfect for breakfast, brunch or dessert! Love blueberries? Then you will love this Blueberry Cream Cheese Croissant Puff recipe. It’s easy and really delicious! The croissant filling is lovely and puffy and made creamy and luxurious with the addition of cream cheese. We like to make this Blueberry Cream Cheese Croissant Puff for most holidays. This specific one is our go to for all spring brunches including the Easter brunch. It takes no tame at all to prepare and you can bake it right away or indeed, prepare the night before and refrigerate until the following day then bake. This recipe would be good with other fruits too, such as strawberries, raspberries, blackberries. So no matter what fruit you decide on, definitely add this Blueberry Cream Cheese Croissant Puff to your “to do” list! 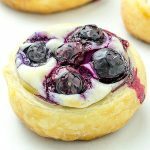 This super simple Blueberry Cream Cheese Croissant Puff is made from store bought croissants, along with fresh blueberries soaked in a cream cheese, egg, milk mixture and then baked to perfection. The perfect pairing with your morning coffee! 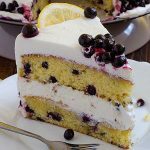 I really enjoy in every piece of this dessert which is super tasty especially in this blueberry and cream cheese combination. Blueberries are perfect to morning, they are rich with nutrients and really healthy and they are also low in calories. Blueberries time is now so grab your bags and go in a shopping to buy right ingredients. Start making this delicious dessert with blueberries and cream cheese filling. My family likes this recipe very much so I have prepared it before and it is in the fridge. Serve as it is warm with powdered sugar or with a blob of whipped cream, vanilla ice cream and it will soon become a favorite recipe in your home too! Enjoy! 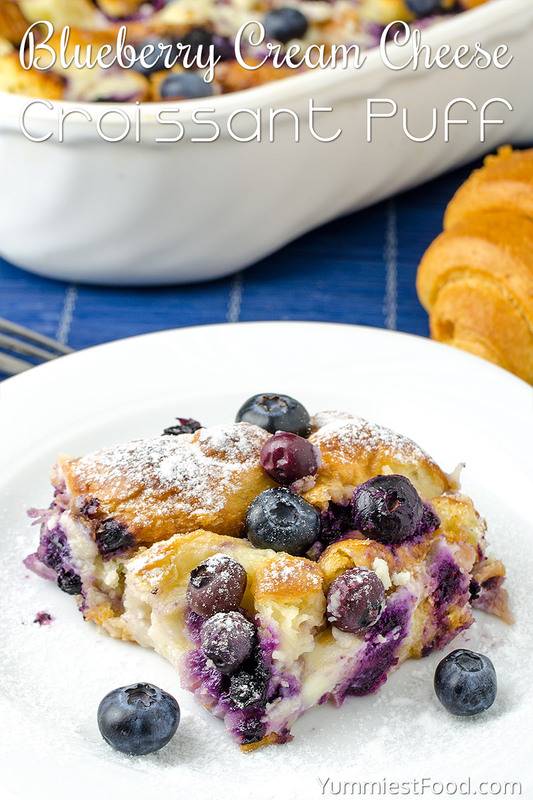 BLUEBERRY CREAM CHEESE CROISSANT PUFF - Easy and delicious way to start your day! 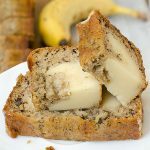 Perfect for breakfast, brunch or dessert! 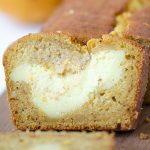 Can I make this recipe two days in advance before cooking? Hi Marcia, I definitely think you could! Can you use almond milk instead of dairy? Hi Melanie, I definitely think you could! Delicious! This is my Sunday breakfast favorite. I make a bourbon sauce and drizzle it when I serve it. The instructions say to serve immediately, but will it be okay if kept warm for 30 minutes prior to serving? I think this would be a big hit at my company’s potluck.